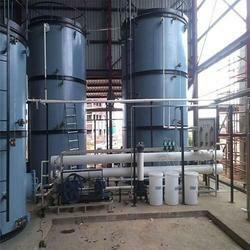 Manufacturer & Exporter of Zero Liquid Discharge Plant. Our product range also comprises of RO Systems, Water Softener and Ultra Filter Plant. Being a market leader in this domain, we provide the best quality of Zero Liquid Discharge System. Ensure zero liquid discharge of waste water, these systems are easy to operate and require low maintenance. Used in different effluent generating industry, these zero liquid discharge systems are available with us in various technical specifications.